The Benefit of a Professional Color Consultation - Boston Design and Interiors, Inc.
Color is one of the tools an interior designer uses to set the stage for the rest of an interior design scheme. It is also the one of the most common decorating items a homeowner will do on their own and sometimes the biggest mistake. A color scheme should allow you to move from one room to the other with a pre-determined effect. If you are looking from the hallway into a bedroom- the wall colors should play off of one another without a jarring effect. Or perhaps you want the living room which you see from the entrance hall to really pop- or maybe you want to give it the illusion of a room being a little farther away visually without changing anything but the wall color. This is what a professional interior designer does- we work with hue (what we think of as a color), the saturation (the depth or intensity of color), and its tonal value (the lightness or darkness of a color). All of these elements are critical in assessing and choosing the colors to be used in a room. 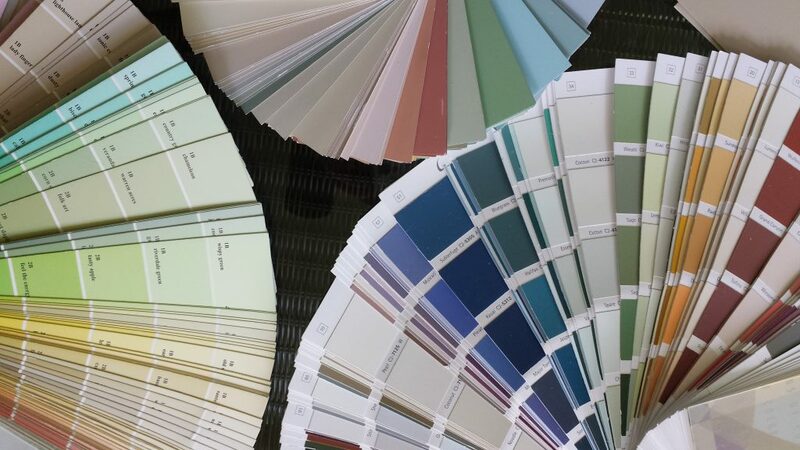 At Boston Design and Interiors, Inc. we create a Master Color Plan- ceiling, wall, and trim colors. If wallpaper is to be used then that is added into the room mix and is often a spring board for the rest of the color palette. Faux finishes can also be added to either connect a space or just add another venue for creating visual interest in the room. In this bedroom that we designed, you can see that we have made use of beautiful French inspired wallpaper and well-saturated paint colors in a purple hue. Additionally we used a faux finish to connect the wallpaper to the painted wall color and address a technical consideration of where the wallpaper will begin and end. Image Property of Boston Design and Interiors, Inc. If you are interested in a professional color consultation please contact us at 617-848-4585.